3. 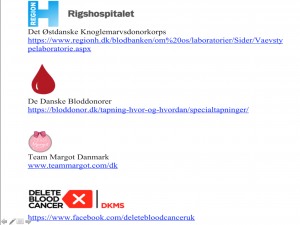 Team Margot Denmark was asked to re-do the Stem Cell Registry’s information folder – and write it in “non-doctor” language. 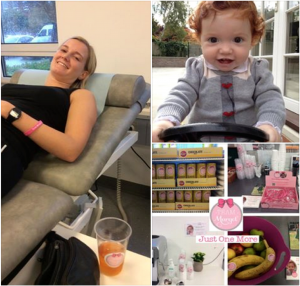 We did – and Team Margot received a warm “thank you” from the head physician of the register. We changed the language in the folder so that “the ordinary Dane” will be able to understand it. 4. 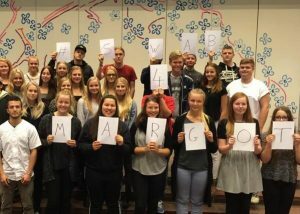 The Danish Stem Cell Registry used Team Margot stickers, cards and flyers on our stem cell and bone marrow awareness day in 2015. 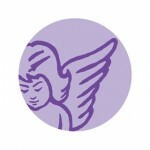 And will do so as well this year on 7 October. 5. 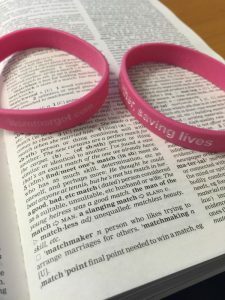 We hope to be able to make more progress this autumn – we have heard through the grapevine that mouth swabs are to become yet another method on how to join the registry as a potential stem cell donor (currently registration is only via blood sample in Denmark). I think that wraps up our doings for 2015 (and some of 2016). 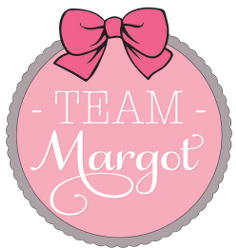 I feel very privileged to be a part of Team Margot and am humble to receive such help and open arms from so many different people and – especially those of the Danish Stem Cell Registry at Skejby Sygehus and the Danish Patients´ Organization for Lymphoma, Leukemia and MDS. None of this would have happened without Margot’s sad, sad story. 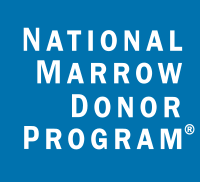 We carry on her legacy and hope that her endeavors will inspire yet more thousands of persons to join the worldwide stem cell registries – and maybe save so many more lives. Please join your country’s register – and/or explain it to someone else. Maybe that particular conversation will lead to another match. 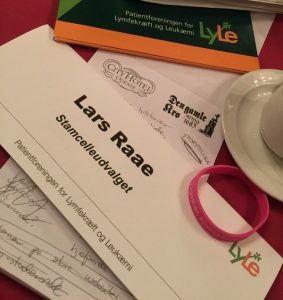 November 2015: In Denmark at a conference as a member of the Danish Patients Association for lymphoma and leukaemia. Amazing persons. 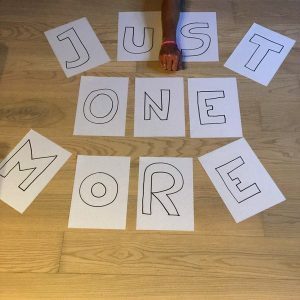 #JustOneMore bliv stamcelledonor #knækcancer #anonymegymnasieelever Det kræver bare EEN til. 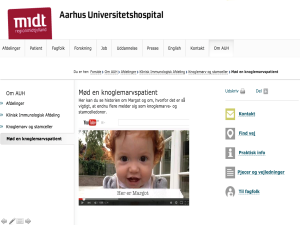 Måske redder du et liv?